The European Union is often criticised, and many times, rightly so. It is not only costly and technocratic, it is very much the elite, top-down, ‘govern from afar’ institution people decry. Nevertheless, it is an effective organisation in ensuring the stability of Europe. Although it is an often-repeated point, Europe was, for centuries, at war with itself. As Gore Vidal said, after the Second World War, “Europe knew that it must either stabilise or destroy itself in a new conflict”, the damage of any new conflict would simply be too great. Vidal’s insight is also relevant when we consider the rise of the far-right across Europe. One thing it has in common across the various member states is hatred for the European Union and not simply because the Union promotes diversity and inclusivity. Various far-right groups are against the EU because they know the EU is an effective organisation at marshalling economic and political might against destabilising, far-right figures. Take Viktor Orban, for example. It is disputable whether he qualifies as “far-right”, but his behaviour is both autocratic and haughty and his policies xenophobic and backwards-looking; characteristics that very much resemble a traditional far-right leader-hero. But maybe a term such as “reactionary conservative” would also serve. The once liberal Viktor Orban has for years pursued anti-migrant policies, used xenophobic rhetoric, pursued a campaign of anti-migrant disinformation and generally made a mockery of the EU’s (recently-acquired) spirit of letting migrants in. While the EU could not formally do anything against the leader, the institution is well aware that such a figure would overplay his hand. Such people always do. 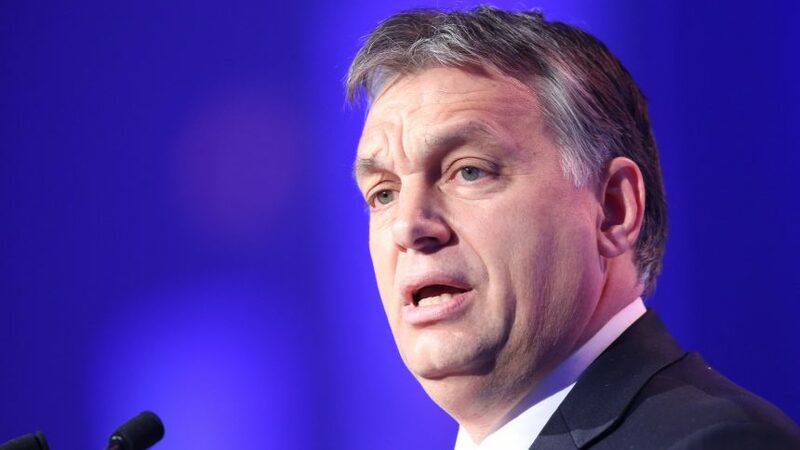 Orban has recently come under increased scrutiny within Hungary for the apparent corruption in his Fidesz party, and also his possible personal corruption. This has caused him personal distraction and cost him both political and approval points. In this case, if it were not for the EU, Orban would have slid towards autocracy even quicker. He has reacted predictably by pursuing his usual policies of disinformation and calling both the corruption and EU sanctions outlandish, and the products of fake news. We’re all now familiar with Donald Trump’s favourite words “fake news”, and in his case, it normally emerges when he’s threatened and vulnerable. With Orban’s use of the words, we can suspect the EU has wounded him too. The latest revelations of Britain's consistent hacking of EU member states' infrastructure is testing the union's patience with Britain. Public private partnership equally remains a crucial building block in leaving no one behind. Once again, cricket has proven it is the glue for bringing people together. It's harder to conceive of a more nightmarish situation for technocrats than Brexit. Social achievements haven't protected Sweden from joining the nationalist surge which has been sweeping across Europe. Cynthia Nixon: "It's hard for some Democrats to do right when they're getting millions and millions to do wrong." As gas prices surge, the U.K. is increasing its use of coal for electricity production. But even a temporary use of coal could damage emission target plan. The decades-long debate on land redistribution and racial segregation in South Africa has now reached epidemic proportions.